Ask The price that a seller is willing to take in order to effect a sale. Assay Analytic test or trial to ascertain the fineness and weight of a precious metal in coin or bullion form. Authorized Issue An issue by a governmental authority or by civilian or military authority in control of an area. Coin A piece of metal intended for use as legal tender and stamped with marks or inscriptions which show that it was issued by an authority that guarantees its weight and purity most often a government or bank. COMEX The Commodity Exchange, Inc., in New York, where gold and silver, as well as other commodities, are traded on a daily basis. Die A hardening metal punch, the face of which carries intaglio or incused mirror-image of the devise to be impressed on one side of a planchet. Fine weight The actual weight of the pure gold in a coin, ingot or bar, as opposed to the items total (gross) weight, which includes the weight of the alloying metal(s). Example: a 1 ounce U.S. Eagle has a fine gold weight of 31.1033 grams and a gross weight of 33.933 grams. Gram The basic unit of weight in the metric system (31.1033 grams = 1 troy ounce). Impaired Damaged or mishandled; an object which is in less than new condition through other normal wear and tear in circulation. London fix Price each day in London. Five old-line firms meet to set the price of gold. This is called the ‘fix’ and is a bench mark for market trading each day. Mint luster The sheen or bloom on the surface of an uncirculated numismatic coin resulting from the centrifugal flow of metal caused by the striking of the dies. Mint luster is somewhat frosty in appearance as opposed to the mirror-like smoothness on the field of a proof. Mint marks A letter, symbol or hallmark found on a coin that indicates the minting facility where it was struck. In the U.S., P (Philadelphia), D (Denver), S (San Francisco), and W (West Point) are frequently used for current coinage manufactured at those sites. Mint marks A letter, symbol or hallmark found on a coin that indicates the minting facility where it was struck. In the U.S., P (Philadelphia), D (Denver), S (San Francisco), and W (West Point) are frequently used for current coinage manufactured at those sites. Obverse The side of a numismatic item which bears the principal design or device. Ounce A unit of weight equal to 1/16 avoirdupois pound or 1/2 troy pound. Patina Natural coloring acquired by a coin as a result of oxidation produced by certain soils and moisture thereon. Planchet The disc of metal or other material on which the dies of the coin are impressed. Also known as a coin blank. Premium The market value of a coin less the intrinsic value of the same represents the premium. A gold coin which contains $100 in gold (intrinsic value) and sells for $200 (market value) has a 100% premium. Proof A coin produced by a technique involving specially prepared dies and planchets and usually special striking (struck two times or more), resulting in particular sharpness of detail and a virtually flawless surface, usually mirror-like fields. A coin made specifically for collectors that is not for circulation. Proof set A set of one proof coin of each current denomination issued by a mint for a specific year. Reverse The side opposite to that on which the head or principal figure is impressed. The side opposite the obverse. Spot price The price quoted for a deliverable unit of a particular commodity, usually 100 ounces in the case of gold. We understand the sensitive nature of selling jewelry that has great sentimental value to you and strive to provide you with considerate, knowledgeable, and private customer service. Sell your Gold, Platinum and Silver broken chains, bracelets, earrings, charms, gold watches, coins, unwanted jewelry, dental gold and other items by contacting us today! No appointment necessary to sell. Stop in during any of our normal business hours. 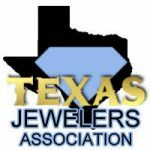 Free verbal appraisal in Houston on your jewelry.